In the movie Siren, a groupie approaches a married band member in a too-close-for-comfort manner. I scored the moment of temptation with ambient electric guitar and vocals, respectively performed by Tom Strahle and Hilary Hearty. This week’s music is another excerpt from my guzheng concerto, Identity: Zhongshan Zhuang. This passage, from the second movement, is the musical equivalent of a nostalgic flashback to happier times. The darker turn at the end presages moodier material ahead. Want to hear more of the sound of this unique Chinese instrument? Stream the concerto via Apple Music or Spotify. 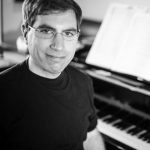 This week’s music is a third excerpt from my guzheng concerto, Identity: Zhongshan Zhuang. This is a playful duet between guzheng soloist and piccolo. (It’s meant to evoke the imagery of two children playing.) The climactic build at the end presages the beginning of the finale. 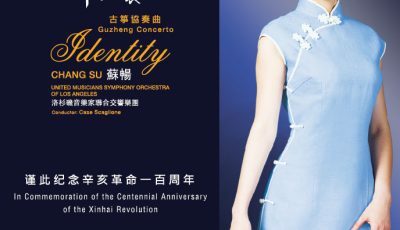 The concerto has been performed by the San Francisco Symphony, the Chicago Sinfonietta, the China National Orchestra, as well as regional orchestras in the US, Canada, and China. You can find it online from all major music vendors and streaming services.